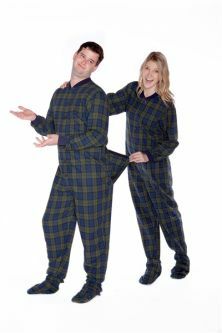 Are you looking for Mens Pajamas that are every bit as manly as they are comfortable? 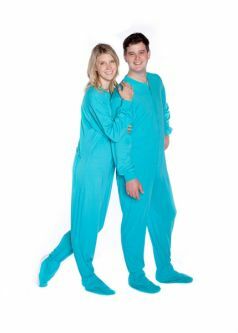 Are you tired of wearing the same boring boxers and T-shirt combo every single night? 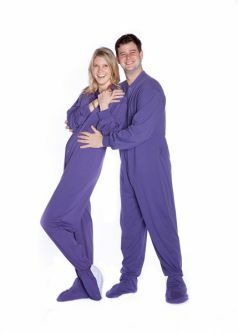 Are you secure enough in your masculinity to experience the pleasures of adult pajamas onesies? 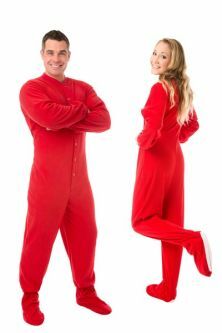 Then discover the singular joy of wearing singular pajamas -- mens pajamas. 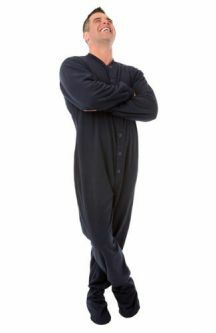 Big Feet PJs is the #1 website for mens footed pajamas, the same manly footed pajamas worn by professional athletes and celebrities all over the world. 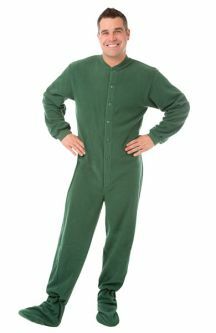 Our cozy footed pajamas for men have been featured, reviewed, and worn on hit shows on ABC, NBC, FOX, FX, and more. 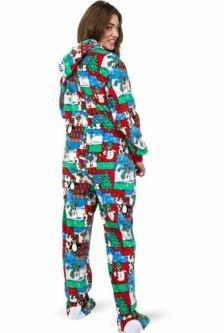 So whether you're looking for the perfect funny gift for the manly men in your life, or if you're just searching for the best night's sleep ever, then mens footed pajamas are the answer you've been looking for. 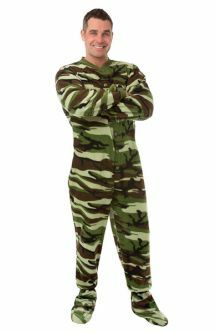 Our online store features a wide selection of footed pajamas for men, like our camouflage micro-polar fleece. 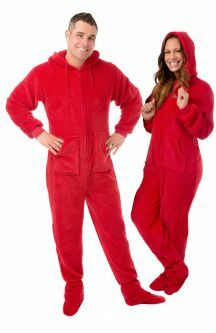 Our high-quality fleece pajamas last for years and won't pill when taken out of the dryer. 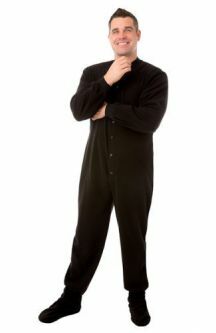 You can also buy our 100% cotton mens footed pajamas, made from soft, double-brushed fabric. 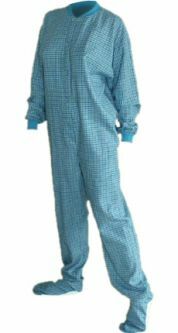 Specially designed for a man's comfort, these awesome pajamas come with non-slip soles that give you all the traction you need when doing important, manly work around the house. 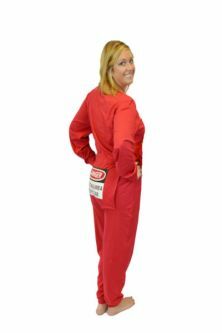 There's even a drop-seat option for men on the go. 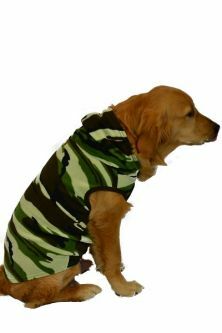 We have cotton flannel, micro-polar fleece, jersey knit, and hooded pajamas in a variety of colors, sizes, and patterns. 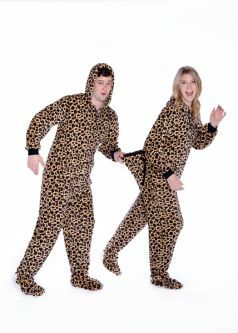 You can rest easy at night knowing you're the proud owner of the manliest, coziest footed pajamas for men ever made. 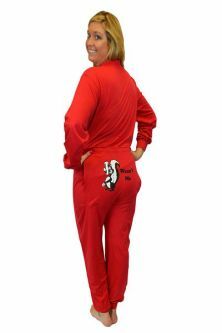 Big Feet PJs also make great gag gifts for hard-to-shop-for dads everywhere. 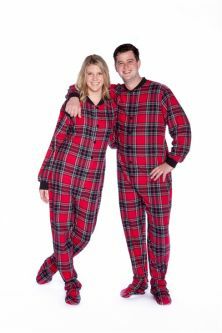 If you're looking for last-minute gift ideas for men, we offer standard, expedited, two-day, and next day shipping on all our footed pajamas for men.